Plastic products and components manufacturer Spectrum has announced its investment in overmoulding capabilities through the Apollo Medical operation in Sandy, Utah. Four new injection moulding machines have been added, ranging from 11 to 55 tons, which are suitable for injection moulding of products including dilator and sheath sets. The machines can operate in a horizontal or vertical position to produce injection moulded products and insert moulded assemblies. The development means the company can offer a solution for catheter sub-assemblies. Spectrum has also appointed a senior injection moulding engineer Chad Rachal in an effort to provide technical expertise and improved process development and reliability. Rachal has over 20 years of experience in injection and blow moulding in the medical device industry. 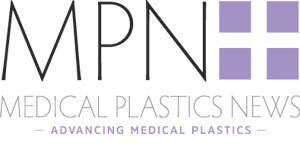 The company is also exhibiting at MD&M West in Anaheim, California, between 5-7 February.